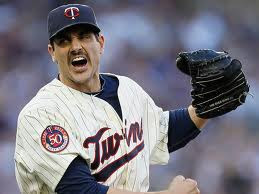 Hey all you Twins fans! You know it's never too early to think about Twins Baseball, right? We are getting antsy just thinking about the start of the season. What will be in store for the Twins? Will the schedule play out in their favor? The only way to find out is to make it to some Twins games. Come on out and support Joe Mauer and the rest of the Twins on April 7th, which is opening day. Don't forget about Minnesota Twins Spring Training tickets when you book your Spring Break down to Fort Myers. I went a few spring breaks ago, and it was the highlight of my spring. Need tickets? Check out Ticket King's options here. Have a great time at Twins Spring Training! Happy Valentine's Day, Twins fans! Happy Valentine's from everyone at Twins Baseball Love! We hope you enjoy your day with your friends and family. Need some last minute gift ideas? What about Twins tickets! 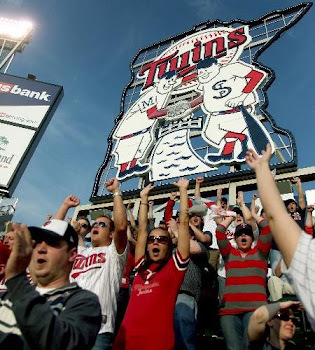 Check out all the hottest Twins tickets at Ticketkingonline.com and give tickets to your loved ones. I honestly couldn't think of a better present than Twins tickets! I'm Wearing My Twins Jersey Today...Just Beacause! I'm wearing my Twins jersey today...just because, why not! Number 7 on my back, Twins on my front. Of course I'm getting into the Twins spirit a little early, but I love my Twins and baseball and I can't wait for Spring Training and the season to start up. Do you ever just wear your Twins jersey around just for fun? Send me pictures of you in your jersey!